Demonia's Emily 357 Gothic Harness Boot is a unique ankle boot. In black vegan leather, the alternative boot has a lace up front, inside zip, spike studs down the back and a chunky sole. 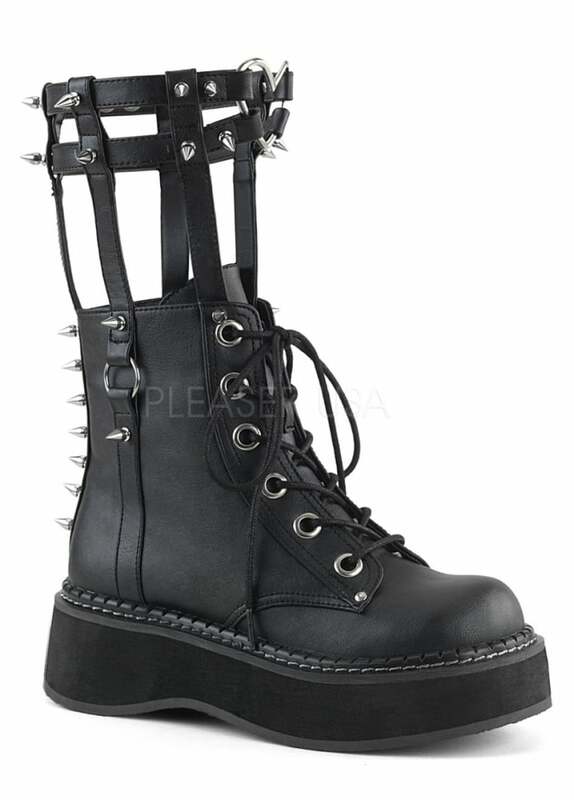 The boots have a calf high caged brace with a large front heart ring and spike studs.